Built this as an upgrade from my early 2012 i3 Sandy Bridge (with a mid-2010 HD5770 GPU) build in a Cooler Master Centurion 541. Pros: The window doesn't show the top of the optical drive. There is plenty of vertical space for taller graphics cards. The dust filters are magnetic and the front one and PSU one are easy to access (front one, the panel just pops open when you press it). Cable management is a mixed bag - a good amount of tie downs, but it may not be obvious how to wire everything initially. I did a better job after I changed out my PSU. Cons: The motherboard was pretty difficult to get into place for some reason. The drive cages and the PSU should be swapped in position. It's difficult to plug in drives because of the fan bracket unless you string the cables from the inside and connect them when they're out of the case. But that has the issue of power cables being too fat when you're connecting SSDs. It may have been better if the included fans were PWM, since many boards do PWM on the SYSFAN header. Pros: Easy to installation. Extremely short (a relatively unnecessary feature for me) and quiet (definitely quieter than a stock HSF, which was my primary goal). I'm not sure on this front, but because there are fins, maybe it would be better so that the air blowing out of the heatsink goes towards exhaust fans. Mine blows towards the back and a stick of RAM, but my temps have been fine, so it's probably no big deal if you don't do this. Pros: 6x SATA ports, which is great, since I needed something that could have at least 5. 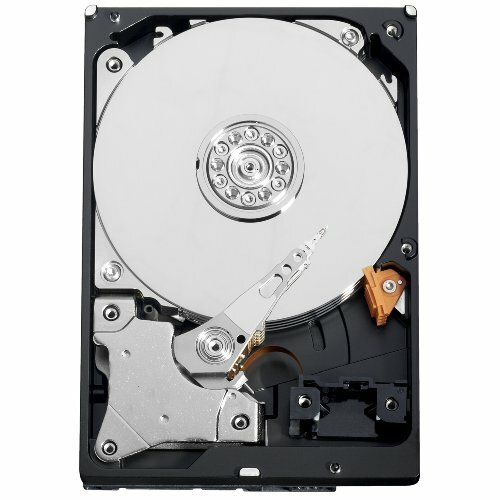 Do note one SATA port becomes disabled if you use a SATA M.2 drive in the rear slot. All of them will work if you use a PCI-E based M.2 drive. 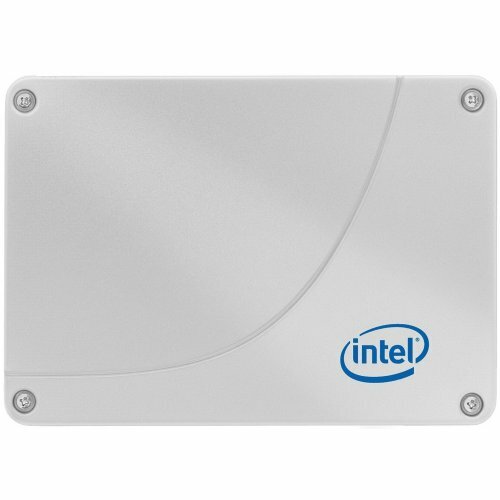 The WiFi card doesn't interfere with anything, as it's in the rear adjacent to the back ports. 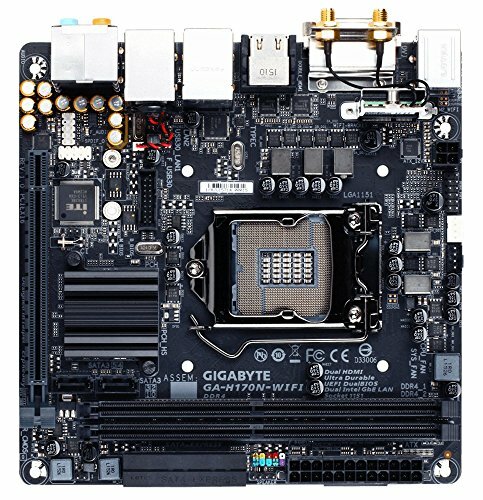 One of the reasons I was turned off by similar H170 boards were the central location of the WiFi card, which could interfere with some HSFs and the fewer number of SATA ports. The magnetic antenna is also a nice touch, allowing me to just pop it to the side of the case. The software AppCenter + System Information Viewer (SIV) allows for facile control of fans in Windows. Cons: Some HSF backplates might interfere with the use of the rear M.2 slot. Tautological manual - "X setting turns on or off the X setting" (but that's more of a general complaint about motherboard manuals). USB 3.0 header is in the middle of the board - very annoying for cable management (fortunately, the Corsair 250D's front port cable is very long, so I could wire it around the case. 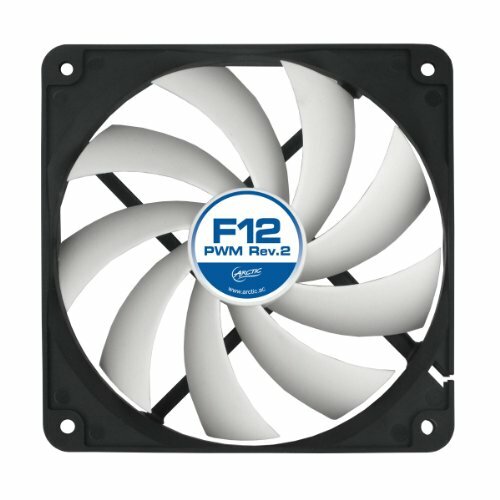 SYSFAN is not PWM, despite being 4-pin. The manual shows that speed control is not the 4th pin as it is supposed to be in PWM. Fan control in BIOS is extremely limited (an Asrock board I recently used in a budget build lets you set fan speeds in a very detailed way in BIOS). A problem I encountered with this board: enabling "Platform Power Management" in BIOS (disabled by default) caused random freezing in Windows. Since turning it back to the default of off, no freezing seen. I just wish the manual was more detailed about what this setting actually did. Changing to a different PSU also resulted in the same freezing if this setting was enabled. Pros: PWM Hub with 8 ports. SATA power connection - this part was nice, since I could just tie up all my molex connectors and keep those out of the way. I have this hooked into the CPUFAN header with the CPU fan in the reader port of this device (the glossy square if you buy it), plus the two side-exhaust Arctic fans. I started off with the front Cougar PWM fan in this as well, but I decided to move that to the open SYSFAN header. Even though that doesn't seem like it's PWM, it is still at least controllable, and likely a little quieter since it's spinning a little more slowly than it was in the PWM hub. Edited (4-12-2016) I started off with the EVGA 750W Supernova B1, mainly because I misread the "Tier" list of PSUs - this one is a Tier 4, but other "EVGA Supernova" PSUs are rated higher. Since I planned on using this for a while, and I had a suspicion it was causing my earlier freezing (this turned out to be unrelated), I replaced it. The main reason I purchased it, beyond thinking it was not Tier 4 were the semi-modular design and it had a sufficient number of connectors. It turns out, after replacing it, this thing was actually kind of loud relative to the rest of the system and was producing a whine. 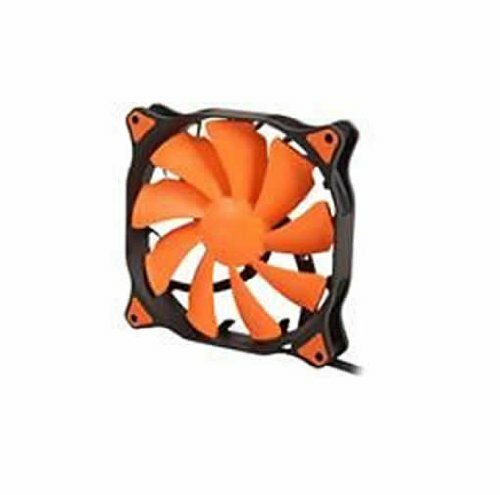 The replacement supply, an XFX TS 550W non-modular supply is a Tier 2. The fixed cables were a bit of a pain, but a little patience, some forethought, and a few zip ties handled it well. There is a good amount of space in the front of the 250D to stuff a few cables. The flat cables for the SATA connections were easy to bend relative to other sleeved styles I've used in the past. But the 4-pin CPU power cable was a bit short. It would have been long enough, but made for some ugly routing. I used a 4-pin CPU power cable extender that I had used in my old build to route the cable around down the exhaust-fan side of the case.. And as a bonus, with the replacement, I can barely hear the system now, whereas before, it had a hum and whine. Short and easy to install. Because the fins face one axis of a case, you may consider what orientation you'll install it in (to face system exhaust fans - I didn't do this). It likely doesn't matter. 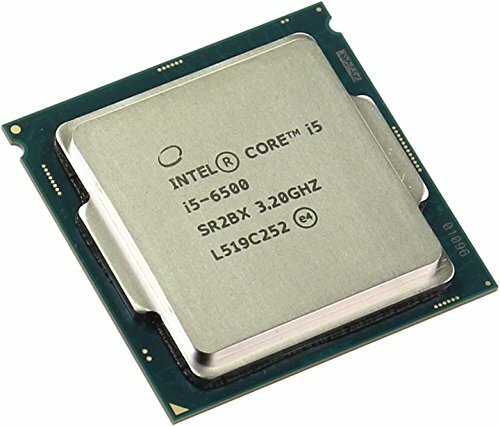 Temps at idle and playing games are good. Mainly seeing temps in the upper 20Cs for idle and 40-55C while gaming. Fan is quiet. +6x SATA ports (1 or 2 become disabled if you choose to use the rear M.2 slot) -Some HSF backplates might interfere with the use of the rear M.2 slot -Tautological manual - "X setting turns on or off the X setting" (but that's more of a general complaint about motherboard manuals) + WiFi card doesn't block anything and it's hidden in the rear + Magnetic antenna is a nice touch, allowing me to just pop it to the side of the case - USB 3.0 header is in the middle of the board - very annoying for cable management. -SYSFAN is not PWM, despite being 4-pin. The manual shows that speed control is not the 4th pin as it is supposed to be in PWM -Fan control in BIOS is extremely limited (an Asrock board I recently used in a budget build lets you set fan speeds in a very detailed way in BIOS). + AppCenter + System Information Viewer (SIV) allows for facile control of fans in Windows -Enabling "Platform Power Management" in BIOS (disabled by default) caused random freezing in Windows. Since turning it back to the default of off, no freezing seen. I just wish the manual was more detailed about what this setting actually did. 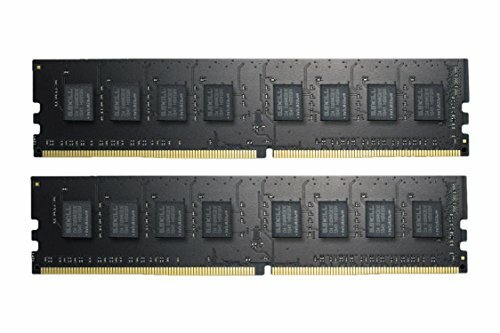 Simple DDR4 kit, black PCB, no heat spreaders. No problems with this kit. 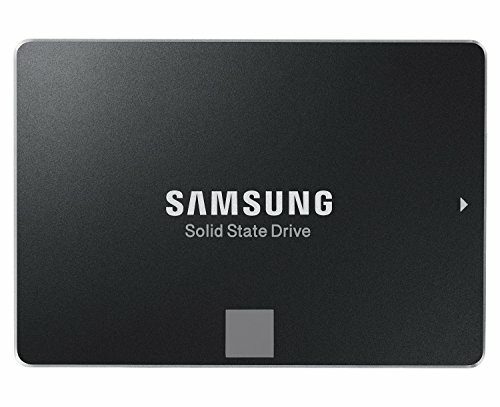 A good, slightly older SSD. Greatly improved the boot speed of my Sandy Bridge build, now serves as an extra drive for programs when my 850 Evo gets filled. Fast and pretty cheap. Samsung Magician software is okay - you probably don't have to do too many of the optimizations in Windows 10 (I had to re-enable hybrid sleep because Samsung disables it). An older drive I've used for over 5 years. 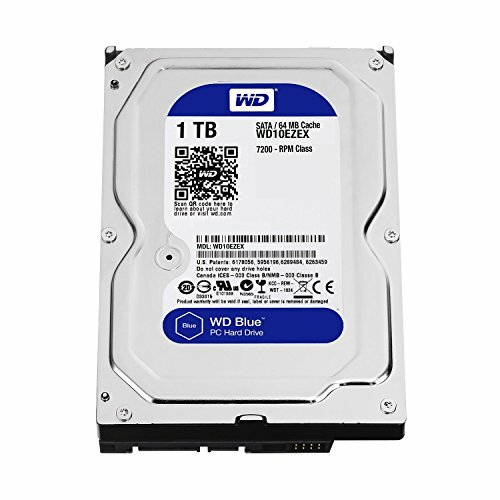 It's a bit on the slower side compared to a 7200RPM drive, but it's served well as an internal backup drive. And for about 3 years, it served as a boot drive in my old system (1.5 years in an Athlon II X4 system, 1.5 years in a Sandy Bridge i3 system) before I got an SSD. Cool and quiet card. Great upgrade from an HD5770. Not too tall and sometimes you can find them for a great price. 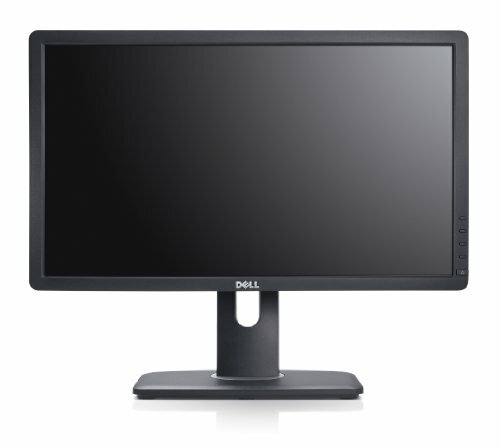 Mainly playing Diablo 3, SC2, and TF2 at the moment, but it handles all of them easily on high settings and 1920x1080/60Hz. If you have a shorter case, this one has the power connectors on the long axis of the card, which could make this card problematic if you're limited in GPU-length. I replaced an EVGA Supernova 750 B1 with this (going from a Tier 4 to Tier 2 supply). The first thing I noticed is how much quieter my system was and a medium-pitched whine was no longer present. The cables aren't too stiff and there is a good bit of variety. The flat cables, though not as nice as sleeved ones, are pretty easy to bend and work through the system. I just zip-tied the extra cables and it wasn't too bad. Not as nice as a modular supply, but I'd rather have something more stable and reliable first. Great fan. Quiet, moves a lot of air. Great fan. No PWM sharing on this particular one. Hooked into a PWM fan hub that is monitoring the CPU fan speed. Both fans I have are pretty quiet. I like the parts list. Just need more pics please! Will do. Need to tidy up the innards a bit, but when I do, I'll throw more photos up. Ooops. I see now when I looked at the PSU Tier list, it was much further down (4th). Perhaps that's why I was seeing system freezes when I had my motherboard set to enable "platform power management". 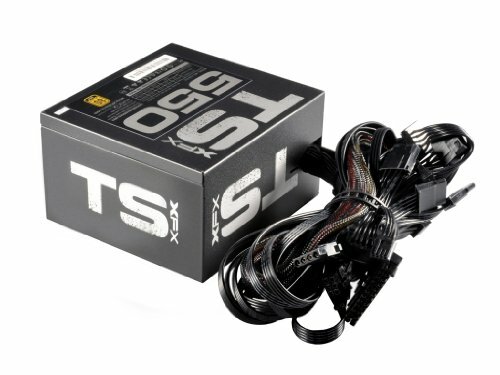 Since I plan to use this for a long time, and it wasn't too expensive, I ended up purchasing another PSU from the Tier 2 section (an XFX TS series 550W) - I lose the modular cables, but I gain an extra inch because it's shorter. Plus, I can use the PSU swap for actually doing some cable management. Maybe if I'm lucky, I can even return the EVGA one. LOL, within 10 minutes of re-enabling that setting with the new XFX supply, I got another screen freeze. Off it stays (as it was by default). 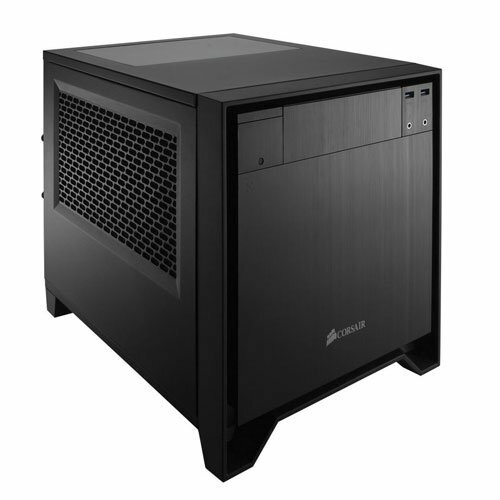 If you're getting a new psu go for something fully modular such as a Corsair RM550x. Makes the cable management a whole lot easier.